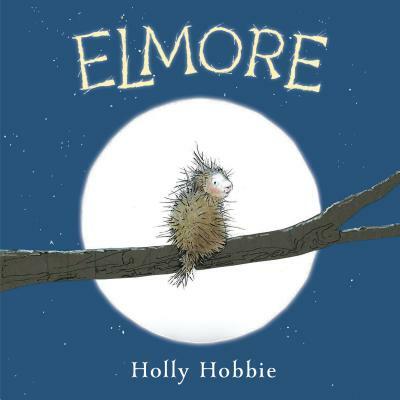 The creator of the Toot & Puddle series brings us Elmore--the warmhearted porcupine sure to steal the hearts of a new generation of Holly Hobbie fans! Elmore is a porcupine desperate to make friends. But it is hard to seek closeness with others when you're covered with spikes that shoot off your back every so often. Elmore suffers rejection and heartbreak, but the goodness of his forest community ultimately shines through as the animals find a way to connect with this prickly bundle of love. Holly Hobbie is the creator of the beloved Toot & Puddle series and now brings us a character for the next generation. Just as charming, funny, and good-hearted as her little pigs, Elmore the porcupine will snuggle and prickle his way securely into the picture-book canon. HOLLY HOBBIE has worked as an artist for more than forty years and is the author of eleven highly acclaimed Toot & Puddle picture books. She most recently created the picture book A Cat Named Swan and wrote and illustrated her own picture-book memoir, Everything but the Horse: A Childhood Memory. Holly and her husband, Doug, live in Massachusetts.